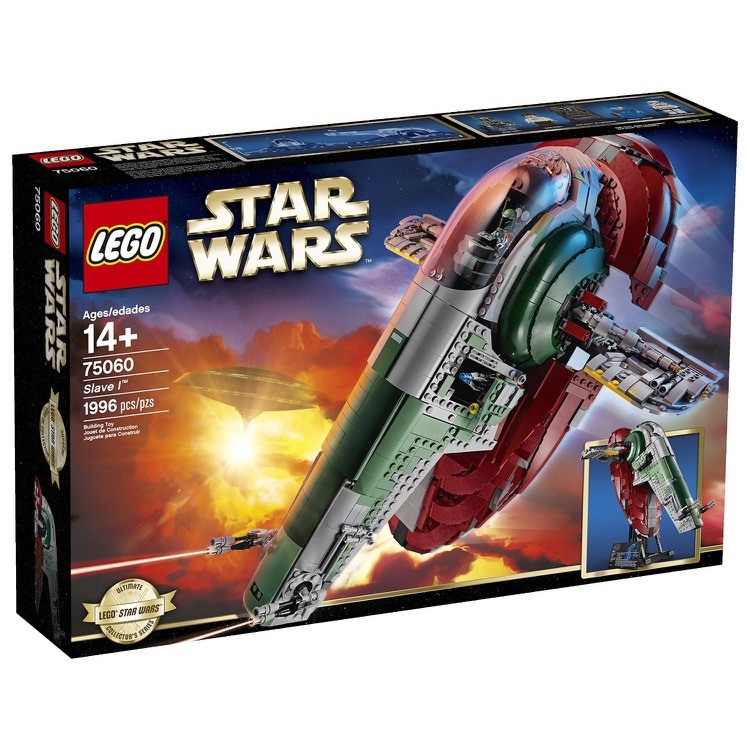 This is a BRAND NEW set of LEGO® Star Wars™ Ultimate Collector Series 75060 Slave I from 2015. This set is brand new, however the box you receive may have one or more of the following conditions; broken seal(s), crushed or punctured box, sticker damage, heavy creases, wrinkles, dents and shelf wear. 1996 pieces and 4 minifigures©. 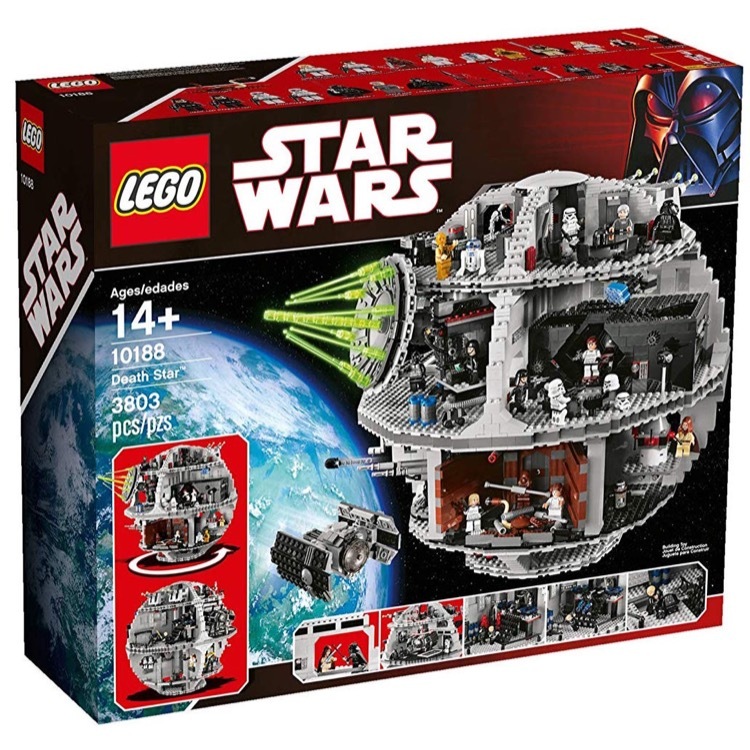 This is a BRAND NEW set of LEGO® Star Wars™ Classic 10188 Death Star from 2008. This set is still factory sealed and the box is in very good condition with minor shelf wear. 3803 pieces and 22 minifigures©.